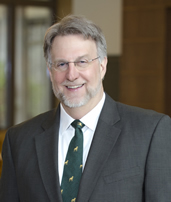 I am thrilled to welcome you to the School of Education at The College of William & Mary! As the new dean for the School, I encourage you to learn more about the many things that make our School of Education so very special. For example, our rankings are extremely strong placing us among the top schools of education in the United States. Our reputation among school leaders is outstanding reflecting the exemplary work of our faculty and our graduates. Our students are among the best anywhere and our superb faculty blend excellence in teaching and research to provide the highest quality educational experiences possible. Our building is a state-of-the art facility and a tremendous showcase in which excellence in learning occurs. There are many more examples I could provide but to me what makes the School of Education at The College of William & Mary so special is how much our faculty, staff, and students care about doing work that matters and making a meaningful difference in the lives of the students we serve. At this time, when the need for outstanding educational professionals is so great, I can think of no more important work than the work we prepare our students for in the School of Education. I invite you to join us in this effort as we seek to respond with excellence to the many challenges confronting children, adolescents, and adults today. Thank you for taking the time to learn more about us and please do not hesitate to contact me if I can be of any assistance. I sincerely hope that you will join us in making a difference in the Commonwealth, the United States, and the world! Professional education programs in the School of Education are accredited by the National Council for the Accreditation of Teacher Education (NCATE) and the Virginia Department of Education. The Ed.S. School Psychology program at the College of William and Mary is accredited by the National Association of School Psychologists (NASP). The Counseling and Counselor Education programs are accredited by CACREP, The Council for Accreditation of Counseling and Related Educational Programs. Through consultation with advisors in the School of Education, students can plan programs of study leading to professional certification by the Virginia Department of Education. In graduate studies, the School of Education offers programs at the master's, educational specialist, and doctoral degree levels for both full-time and part-time students. At the Master of Arts in Education (M.A.Ed.) degree level, degree level students have an opportunity to continue their professional preparation in Curriculum and Instruction with the following concentrations: Elementary and Secondary Education; Reading, Language and Literacy; Gifted Education; and Special Education (initial certification and Collaborating Master Educator). A Master of Education (M.Ed.) degree is offered in Counseling (Family, School, Community and Community and Addictions concentrations), Educational Leadership (with concentrations in Higher Education and K-12 Administration), and School Psychology. At the doctoral (Ed.D./Ph.D.) level, advanced graduate students can pursue studies in Counselor Education and Educational Policy, Planning and Leadership (with concentrations in General Education Administration (K-12), Gifted Education Administration and Higher Education Administration; Curriculum Leadership, and Curriculum and Educational Technology). An Educational Specialist degree (Ed.S.) program is offered in School Psychology. On matters related to the pre-service preparation of elementary, secondary, and special education teachers, a Teacher Education Advisory Council has been formed to advise the Dean, Associate Deans, and Faculty of the School of Education. Membership in the Council consists of administrative and instructional staff from the School of Education, the Faculty of Arts and Sciences, and the public schools. Its charge includes serving as a forum for communicating about the content and requirements of teacher preparation programs; initiation and consideration of specific proposals for modifying existing teacher education programs and developing new ones; enhancement of collaborative relationships and cooperative activities among faculty in the School of Education, faculty in Arts and Sciences and local school system personnel; formally and informally advocating teaching as a profession and the College's teacher preparation programs; and consideration of specific needs in teacher education related to children in special populations, including minority groups, children with disabilities, and the gifted and talented.